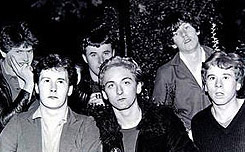 In 1977 Jim Kerr and Charlie Burchill, along with drummer Brian McGee, formed a punk band named Johnny & the Self Abusers. After one unsuccessful single, the bands line-up was quickly reshuffled and their name was changed to Simple Minds ... Scotlands biggest ever band! In 1978 Derek Forbes joined Simple Minds - initially he stood in as bass player as a favour, for a gig at the infamous Mars Bar in Glasgow. 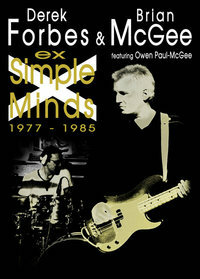 This was Forbes and McGee’s first ever gig together, and the start of, probably, the most popular and creative period of Simple Minds career. 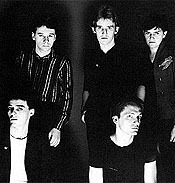 Forbes and McGee were undoubtedly responsible for defining the unmistakable sound of the early Simple Minds albums and composed blistering rhythm tracks, such as 'Themes For Great Cities', 'Love Song', 'I Travel', 'The American', 'Changeling', 'Chelsea Girl', and formed a formidable partnership for the first 6 Simple Minds albums. Brian McGee left Simple Minds in 1981, after years of gruelling tours Worldwide, and joined Glasgow band 'End Games'. Meanwhile, Derek Forbes carried on with Simple Minds through their Golden Phase, recording, writing and touring such albums as 'New Gold Dream ‘81, ‘82, ‘83, ‘84.' and 'Sparkle in the Rain'. However, after reaching the ultimate chart spot of number one in America, with the Global hit 'Don't You Forget About Me', Forbes was to leave the band, albeit unwillingly! Within 2 months Forbes was back on the music scene as bass player of German band 'Propaganda', and following the departure of Steve Jansen (Japan), from the drum stool, Forbes recruited McGee - they enjoyed another World Tour, and an album '1 2 3 4', which added another 7 great years of their time, performing together. Now back together under the banner of Ex-Simple Minds, their live shows are a nostalgic trip back to the seminal days of one of the Worlds greatest bands ... Simple Minds. The band now also features Brian's younger brother, Owen Paul (McGee) on lead vocals! I recently had the opportunity to speak with both Derek Forbes & Brian McGee about the old days, about Jim Kerr, about album artwork, and, of course ... penguins! Taking it from the top, and Brian, back in 1977 you, Jim Kerr and Charlie Burchill formed a punk band called Johnny & the Self Abusers! The band only lasted one single before the line-up was changed along with the bands name! What can you remember about those days back then in Johnny & the Self Abusers - did you get to play any memorable gigs? BRIAN - "1977. What a year! I was just out of school and full of energy. The country was experiencing punk rock and there was a sense of excitement in lots of aspects of my life. Where upon now almost anyone can be a "celebrity", back then it was either through music or soccer that you gained fame and stardom." "The Self Abusers were one of the first punk bands that gained any form of status on the local music scene and playing live was an experience that is very hard to beat, even now I still get the "buzz" when playing live! We had a residency in the Mars Bar in Glasgow but played lots of other places including "The Doune Castle" &"The Saints & Sinnners" which is now, as "King Tut's Wah Wah Hut", one of the best live venues in the whole of the UK for fresh new talent." That one and only single, 'Saints and Sinners' was actually released on the same day the band split! Now, if I had a copy of it and somebody offered me a thousand pounds for it, what should I do? Hold out for a bigger pay day or sell faster than the speed of light?! BRIAN - "If I was offered £1000 for it then it would be gift wrapped before they had finished the sentence! If you have children you will know why!" And, who's idea was it to change the bands name to Simple Minds at that time - and where did that name actually originate from? BRIAN - "The name originated from a line from David Bowie's "Jean Genie" ("He's so simple-minded") and Jim thought it would be a good name. At that point The Self Abusers were no longer together and I joined forces with Jim & Charlie to form Simple Minds." Brian, back in those early days you guys used to wear full makeup - what did yours consist of, and how long did it take to put on each night?! BRIAN - "I left the make up to the others as I had too much testosterone! I never actually wore any as It would have been washed of with sweat after about 5 minutes." Derek, you then joined the band in 1978, initially as a bass player for a favor! The gig was the infamous Mars Bar in Glasgow. What do you yourself recall of that night - and did you get any inkling at the time that you might become more solidified within the line-up sooner, rather than later? DEREK - "I remember stepping onstage, after forcing our way through a lot of people. I had played the Mars Bar loads of times with my band The Subhumans,(Subs), who did a one off single for Stiff Records in 1977, so the gig wasn't knew to me. This was different though. Miles more arty than anything I had been involved in up till then. I loaned my White suit jacket to Jim Kerr for that show, and we had photos taken during the performance, which are still around today. I was by far the most outrageous, with my 'Panda Eyes',(black eye make-up), and my leopard skin suit, with girls sandals ... very New York Dolls, which had been my thing at the time." It's been said, and after another internal shake-up, that the remaining quintet of - Kerr, Burchill, MacNeil, Forbes and McGee, circa '79 - was the first serious line-up. The one that began defining the unmistakable sound of the early Simple Minds albums. So, as things had finally settled down, the first album (Life in a Day) about to be released, what were you guys' feelings when said album failed to make an impact on the charts? BRIAN - "At the time "Life In A Day" was released we were in the middle of a UK tour supporting Magazine and our album actually did chart and it was in a higher position than Magazine's which they were not too happy about." DEREK - "Determined is one word which comes to mind. That wasn't looked upon by us as a setback. We knew we were here for the long run. The creativity started for real on the second album, although contributions were made to all of the songs on the first album, by the other three,(Forbes,MacNeil and McGee). We suddenly turned into a proper creative force during Real to Reel Cacophony." You came back in the same year with Real to Real Cacophony, a significant departure from the pop tunes of Life in a Day. Including some New Wave experimentation, which would become the band's trademark sound over the next two albums, who suggested this musical change of direction - and was everyone on board? BRIAN - "The change of direction was a natural progression. We actually found ourselves and direction, musically, while touring and went into the studio to record "Real To Real" with no songs written!! The first album was basically 2 years of songs with the second album being a fresh work. Derek & I would jam in the studio for a couple of hours and bounce ideas off each other then by the end of the day we would have one or two songs recorded which became the process of how "Reel To Real" came to be." DEREK - "As I said, things changed dramatically on the second album. We hadn't much in the way of songs, if any, to be honest, for Real to Real Cacophony. The album was written in the studio mostly. We would go into the Old Mill at Rockfield Studios for 5 weeks before every album over the early years, and then take 5 weeks to record and mix the outcome. We would use 'fairy dust' to keep us alert, and would play for the longest time, while Jim would record on his ghetto blaster. At the end of the session, Jim would retire to his room with the tapes, and start to form the words around the songs." "In the morning, he would appear with notes and notes of words and lines and phrases, which he would hone into verses and choruses. The process didn't end there. John Leckie, our producer, would work on the best parts for the songs with Jim during the recordings. It was all very meticullous. I would be sent to another room to come up with a killer bassline, which I delivered most times. 'Changeling ' was one of those early Eureka moments." After both Empires and Dance ('80) and Sons and Fascination ('81), Brian, you left the band, citing exhaustion at the touring schedule and a desire for more time at home with the family. In reflection, and given that in '82 the band's disco-friendly, 'Promised You A Miracle' was released and stormed the charts, do you regret that choice you made back then - in any way, shape or form? BRIAN - "Do I regret it? Yes & no. Financially, of course I do but some things are meant to be although once I was fit I went back on world tours with Endgames and Propaganda. Had I stayed with Simple Minds my life would have been so different. I wouldn't have married my wife, Shirley, nor had my kids because of the arduous gigging schedule. I don't doubt that I may up have ended dead with exhaustion!! Being on tour and feeling the buzz from the audience, then and now, is still one of the most amazing experiences ever!!" Derek, with Brian gone and other musicians coming in and out through the revolving band door once again, and with a hit album on your hands (New Gold Dream), just why was it so hard for Simple Minds to keep a solid line-up for more than ten minutes?! DEREK - "If I could answer that I would probably still be in the band!!" 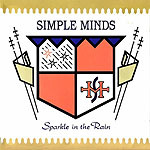 Derek, the next album, 1984's Sparkle in the Rain then produced a slew of hit singles in its own right, but it was the song from the movie, The Breakfast Club ('Don't You Forget About Me') that finally broke Simple Minds in the US market almost overnight! What can you remember of that time period, between having recorded it and being told you were suddenly #1 in not just the US, but many other countries around the world? DEREK - "I remember first hearing the song at Barwell Court, home of my successor, John Giblin. John had a rehearsal / recording room at his enormous manor in Surrey. We had been told that we were first in line to record the main track for the movie 'The Breakfast Club'. Jim heard the song, but didn't want to do it. Mick, Charlie, Mel and myself decided that we would do it, and I was to sing it. Luckily for the film and the World, I persuaded Jim that this would be an American Number One record, he gave in, and made it the song that it is." "We put the Simple Minds stamp on it, and with Jims "Hey Hey..and La La La's", we stormed the charts everywhere. When we reached number one in the States, I had already been sacked, So, for me it was bitter sweet. I was really proud of my achievements with the band, but I felt that I had lost all of my close family. Little did I know that I would join the hottest German band around in the following two months..Propaganda. I recruited Brian McGee into the band after my good friend Steve Jansen of the band Japan, had left for projects new." But then, Derek, the same fate that befell Brian befell you as come mid-1985 you became the latest casualty of the band's collective change of attitude. So, in your own words, what happened back then to make you leave, knowing full well the band were as big as they'd ever been, and that the world was fast becoming their oyster? Let alone the fact that you subsequently then missed out on performing at Live Aid in Philadelphia that year! DEREK - "At the risk of repeating myself, if only I had known then what I know now!!" 'Life in a Day' - "The cover of 'Life in a Day' was the work of a girl in London, who ended up the girlfriend of our Soundman David Henderson. It resembled a kind of other Worldly landscape, with irrational coloured landscapes ... and a big puddle? I think there was some kind of chemical imbalance going on there." 'Reel to Real Cacophony' - "This was a different ball game. It was at this time that Jim and I had more input into the covers. We wanted an industrial feel, like the German bands we had been listening to in the tour van, e.g. Kraftwerk, Neu, La Dusseldorf ... and so, we came up with an idea for the plain, or as I said at the time, the modern version of 'The Who..Live at Leeds' cover." 'Empires and Dance' - "This was entirely Jim and I's idea. We were walking through Soho one day, and we saw 'Zoom' Magazine, and it had this picture of, what looked like to us, a bust of Erwin Rommel near the Parthenon in Greece. It fitted perfectly into the times we were living in, as we had been travelling all through Europe, and encountering troops as we skirted Berlin, usually Russians, and then passing British and American bases all over Germany ... strange and scary times!!" 'Sons and Fascination/Sister Feelings Call' - "This was more to do with our entrusted art director, Malcolm Garrett at Assorted Images. He would supply the American Cars for the shoot at the fruit market in South London. He would go on to do the cover for our "Sgt. Pepper" - 'New Gold Dream 81,82,83,84'." Derek, you then joined Propaganda soon after leaving Simple Minds and when Propaganda were looking for a drummer to go on tour with them, you suggested Brian. What was it about this band that made you both wish to join their group? BRIAN - "They were creating some of the most innovative and original music at the time. Personally I have a fondness for Germany and this was a chance to go back and work and live there and I was honoured to work with them at their peak." For those seven years you both spent as part of the band, what was one of the most memorable nights playing live with Propaganda - whether the reason be good, bad or ugly?! DEREK - "Well, Brian, as you know, is ugly ... only joking. One of the most memorable, or just memorable nights was in the 'Teatro Tenda' in Milan. Now, this is a stage tent where I had played before with Simple Minds not long before. It's official capacity is 7,000 people. When I played it with the Minds we had 14,000 inside. With Propaganda we had about 2,000 to 3,000 people." "Brian complained to the promoter, one of Don Corleone's men, and said we should get a bonus for the fact that the place was half empty. We duly received £100 each, which in 1985 was a lot of money!! Well done Brian." BRIAN - "One of the memorable days was in London before our first gig. Everyone was there except Michael Mertens. We had to rehearse without him then fly to Madrid and meet him there. That was the first time that Propaganda, with myself included, had actually been all together. We went out that night and played an absolute stormer of a gig without a single error!!" And so, come late-1985 and neither of you are in Simple Minds any more and so, that part of the tale ends for us ... but, as you have now formed a band called Ex-Simple Minds, well, let's find out more! How long after you had both left the band did the thought for this new band first circulate between you both? DEREK - "I was working on a festival, which never happened, and as I was in the process of booking bands I came across a guy called Pete Barton. Pete is the agent for 'From the Jam', which features Bruce Foxton, and at the time Rick Buckler." "We got talking. Pete asked what I was doing, and asked if I had considered putting a band like 'From the Jam' together with ex-members of Simple Minds - saying the songs were written by you too, why shouldn't you go out and tour with them in your set?" "So, I contacted Mick MacNeil and Brian McGee, to see whether they were up for it. Mick had so much on that he couldn't commit, but said it was the best idea I have had yet. Brian hadn't played onstage, apart from briefly with Mick and I at a Fourgoodmen gig in Rotherham, for 20 years. He liked what he heard." "Now we are booked up for a good number of gigs, notably a tour of Britain in September at the O2 Academy 2 venues." BRIAN - "After I left Propaganda I went into management and production and stopped performing live. The thought of us all playing live together came from Derek And Mick MacNeil. At that time they were both playing with Fourgoodmen and there was a Simple Minds fan convention coming up in Rotherham, England in September 2007 where Fourgoodmen were playing. At the time I hadn't even thought of playing live again but was open to the idea of giving something back to the fans and us playing together for the first time in 27 years." Brian, you now have your younger brother, Owen Paul McGee as lead singer of Ex-Simple Minds - how did that come about, and did you test drive any other singers before choosing him, perhaps? BRIAN - "Owen and Derek had been working together prior to this with Fourgoodmen and it seemed an obvious thing to ask Owen as he was already familiar with most of the material having grown up with us rehearsing it in our parents home. Owen has more than proved himself as a worthy front man for us." It's been said you play live a lot of the old Simple Minds songs, including 'Don't You (Forget About Me),' but aren't some of these songs SM trademarked - ergo, singing them live is taboo? DEREK - "You can sing, play, tap along to, whistle any tune you want. Remember, these songs were written by at least one of us. The only song we do that we didn't write or perform on is 'Alive and Kicking,' because to me, that is the best song they have written since my departure, bar none!!" BRIAN - "None of the songs are trade-marked. Billy Idol has done a version of "Don't You" on his greatest hits album. All of the songs are public domain and anyone can do them." It has been mentioned that you might be headed into the recording studio in 2010. OK, as we're not called Exclusive Magazine for nothing, is this true, and if so, does the new project have a working title at this time, perhaps? BRIAN - "We are going to re-work some of the original stuff and it's very likely work on some new material, although Derek and I have yet to set a definite date for the new stuff due to live gigs and other commitments that we both have." DEREK - "The working title is: 'Cally Dosh dans la Poche' ... alternatively, ' Leany and Dan's Pension'!!" Fun Five - OK, it's now time to fire off some quick questions - to allow those that think they know both Derek Forbes and Brian McGee to perhaps think again! a) Can you remember your very first TOTP appearance? What year was it and at what level of nervousness were you at that whole day? BRIAN - "I have never appeared on TOTP, almost everything else on TV, but not that!" DEREK - "Don't know what year it was, as I have performed many a time on TOTP, but the song was 'Promised You a Miracle' No nerves just excitement, as there was a lot of hot tottie hanging around. The bar was a great place to be, as you bumped into all the Stars of the day." b) If you could change one moment in your musical history, which would it be - and how would you have it end up today? BRIAN - "I would have never have allowed Propaganda to disband. I loved what they did and how they worked and would love for us to get back together." DEREK - "I wouldn't have went out to a party ... my life may have taken a different path." Do you have a recurring nightmare or dream - and if so, how does it usually end? DEREK - "I usually have a Dream within a Dream!!" BRIAN - "I dream I am live on Stage with Culture Club and you cannot print the end of it!! LOL (Only joking, Honestly!!!!!)" d) What is your sweetest, guiltiest pleasure (food wise!) late at night? BRIAN - "In my local garage they know me as "The Cookie Man" as I have been known to go in late at night for a packet of their delicious choc-chip cookies. Yummy!" DEREK - "At the moment, some fruit, as I am on a Cholesterol busting mission." e) If you could meet any deceased celebrity, who would it be - and what would be the first question you would ask them? BRIAN - "Barry White. Who was his drummer and why is he not credited anywhere? He was probably my first inspiration to take up drumming." DEREK - "It would probably be John Lennon, and I would ask a multitude of questions regarding the playing of some of his greatest songs." 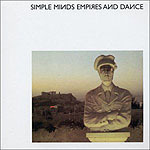 Will we ever see Ex-Simple Minds on one of those '80s retro tours over here in the US, perhaps? BRIAN - "We would love to come and play in America. My son, Daryl, lives in New York and any excuse to see him would be a bonus. Now that I am back playing live with the band I would never have saw that coming a few years ago." DEREK - "As long as someone can watch my dog...!!" OK, I don't know if you a both Taggart (TV) fans, but I am - and wanted to know if you prefer the old school version - with the late (great) Mark McManus or this new version with the less aggressive Alex Norton? Also, if it isn't Taggart, what other shows do you like and maybe miss when away from home? DEREK - "You can't beat the original Mark McManus." BRIAN - "There was only one Taggart. I met Mark MacManus a few times as he stayed locally. He was a really nice guy. Incidentally, did you know that his half-brother was Brian Connolly who sang voals with Sweet in the 70's?" Jim Kerr has been quoted as saying, "I probably haven't been the easiest to work with. Not because I was trying to rule the roost, but I was always pushing. I always thought there was more there. I was a bit anti-social and had lead singeritis!" So, guys, sound about right?! BRIAN - "My answer to this is that I have what is called "anti- lead singeritis". I am first and foremost a musician and have never allowed my ego to get in the way of my work. If most singers thought this way there would be a lot less hassles with band structures." DEREK - "I didn't find Jim unpleasant to work with, quite the opposite in fact. He was a good laugh, but did have his strange moments. Something that I have myself. Must be the Cancerian in us. Mick too!!" And, with regard just that fact, back in 2008, the original members of Simple Minds worked together for the first time in 27 years when they entered a recording studio - but nothing came of the short-lived reunion! So, from an insiders point of view, what happened that day in June - and did it really last only about 30 minutes?! DEREK - "Not 30 minutes. We had dinner ... and it wasn't at McDonalds! 100% of nothing is nothing in anyones language. We couldn't agree on a hypothetical issue: 'If we write a song who get's what?'" "That's the crux of it. We just couldn't agree. Stupid really it could have been so great. One last album by the original band and a final tour. Ach well ... c'est la Vie!!" BRIAN - "Did it last that long? Only joking!! It was good to catch up with the rest of Simple Minds altogether in the one place. We had an amazing night on the Friday night reminiscing over the old days and things that have happened since. Unfortunately there was too much water passed under the bridge and we could not seem to find common ground. The idea fizzled out but you never know what the future might hold for us." If asked to record one for charity, what '80s (and possibly cheesy!) pop/rock song would you love to cover today...and why? BRIAN - "'My Favourite Waste Of Time' by my brother, Owen as he never asked me to play on it the first time, LOL!!" DEREK - "'I've Got A Loverly Bunch of Coconuts' ...!!" I'm sure you have, Sir! OK, lastly, and throwing you a journalistic curve ball, Exclusive Magazine loves Penguins (the flightless bird, not the chocolate bar!) ...do you? DEREK - "Yes...especially with Fava Beans and a nice Chianti!! VVVVvvvvvvvvvvvvv........!!" BRIAN - "I actually prefer the chocolate bar as when it comes to animals I love cows. They provide us with beef and milk and no-one gives an iota for them. People are more concerned with other animals ... so I say, "Come on the cows"!!" 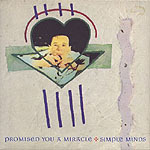 So, if you would like to win a SIGNED copy of the upcoming Ex-Simple Minds CD, and you think you know all there is to know about the band's history, just answer this easy question: Who was Brian McGee’s initial replacement as Simple Minds' drummer? An ex-Skids and Zones band member, he joined the band in October 1981 in time to play the first leg of the Sons & Fascination tour? !